If you want a sensational dig with the bat, a jewel of a delivery to take a vital wicket, make a very difficult catch look easy, a bullet-arm run out, or a captaincy decision that turns a game, Ellyse Perry covers the lot – and then some. Perry is only 28, but has been an international for 12 years, making a habit of setting records that can’t be broken. At 16, Perry became an international cricketer, and a month later a soccer international, becoming the first person to achieve the feat, and play in cricket and soccer World Cups. Last November, Perry became the first to play 100 T20 internationals, and last week the first to crack the 2000-run Big Bash barrier. Those achievements are set in concrete. In her last year at Pymble Ladies College, on Sydney’s upper North Shore, Perry was the sports captain, the cricket captain, and the athletics captain, but still found time for soccer, golf, tennis, and touch football. But for the sake of this salute, we’ll stick to cricket, and especially batting. Perry has the highest Test score by an Australian of 213* at North Sydney Oval against England in 2017, pipping Karen Rolton’s 209* against the West Indies, in 2004. Perry has never scored a ODI ton, but has been stuck in the 90s four times, three unbeaten. 90* – batting five, game won. 55* – batting two, game won. 55* – batting four, game won. 55* – after 20 overs. Perry’s latest coup, becoming the first to crack the 2000-run Big Bash barrier, is all part of the large contribution the women cricketers are playing in the overall Australian scene. Ellyse Perry (Sixers) – 2110. Michael Klinger (Scorchers) – 1917. Chris Lynn (Heat) – 11. Usman Khawaja (Thunder) – 50.31. Meg Lanning (Stars and Scorchers) – 50.03. 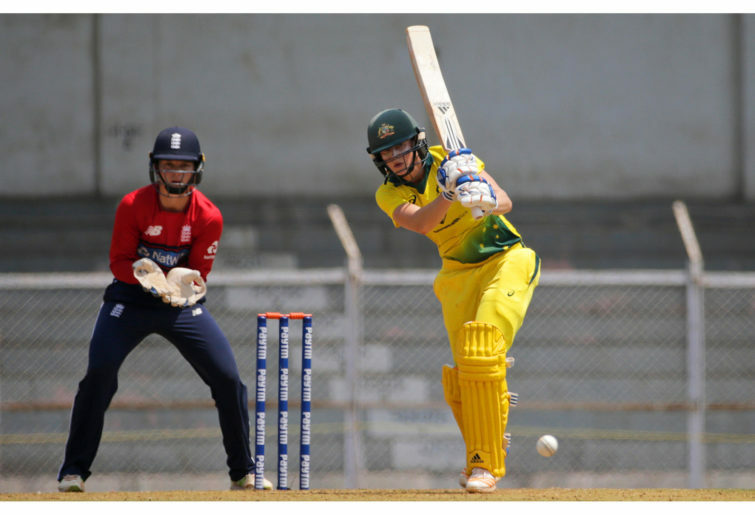 Alyssa Healy (Sixers) – 130.63. Perry, Healy, and Grace Harris (Renegades) – two each. Luke Wright (Stars), and Khawaja – two each. Elyse Villani (Scorchers) – 16. Sophie Devine (Strikers) – 59. With Ellyse Perry without peer as Australia’s most talented cricketer, if not the world, it begs the question why hasn’t she won the coveted Young Australian of the Year Award along the way? She is at least the equal of previous winners Mark Ella (1982), Jon Sieben (1984), Duncan Armstrong (1988), Cathy Freeman (1990), Kieren Perkins (1992), Ian Thorpe (2000), Lleyton Hewitt (2003), Casey Stoner (2008), Jessica Watson (2011), and Sam Kerr last year. It would be the icing on her career cake if Ellyse Alexandra Perry was named Australian of the Year sooner rather than later.